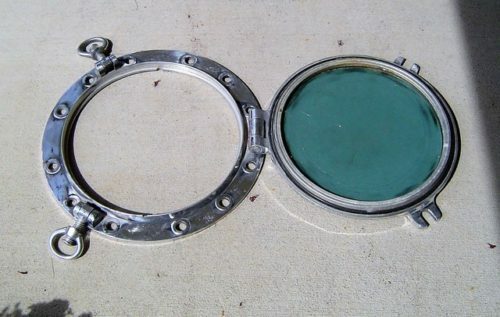 Nice original aluminum ship’s porthole that has been cleaned, polished, and made into a nautical mirror. 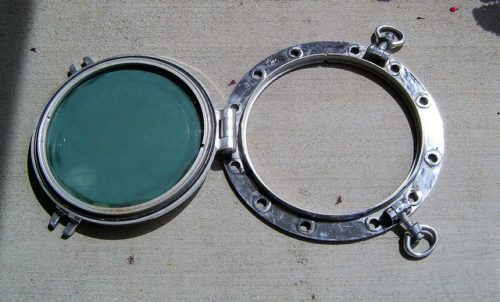 The glass measures 13 1/2 inches and is original with light wear. 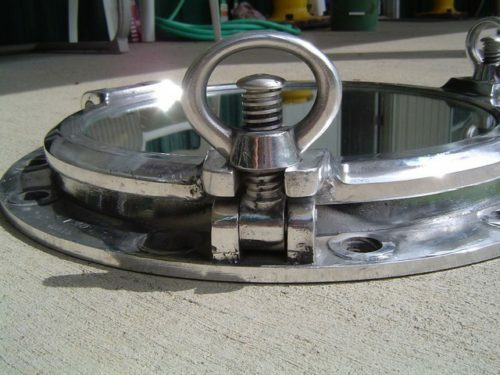 Both closure dogs spin on and off with no problem. 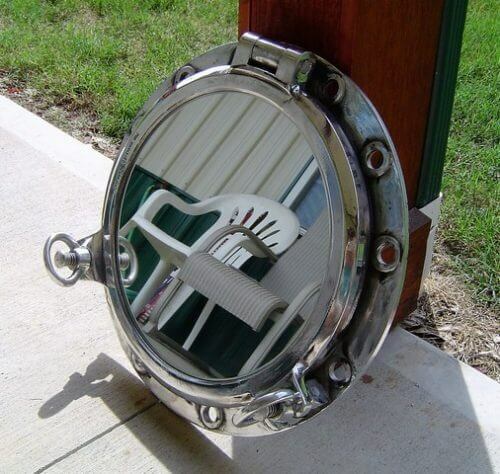 Weighs about 16 pounds. The back side of the frame is smooth. 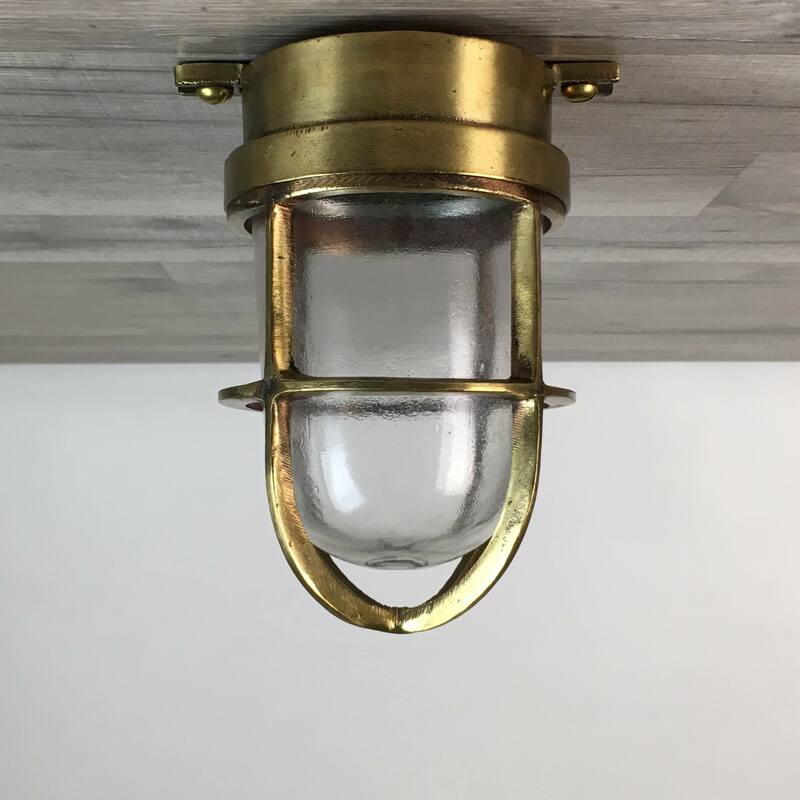 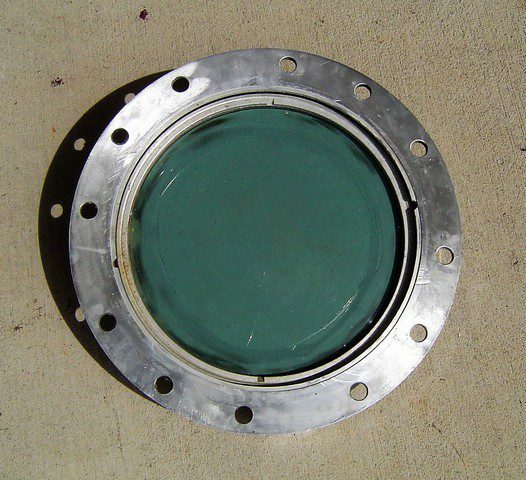 When mounted to the wall, this porthole will extend out a total of about 4 3/4 inches. 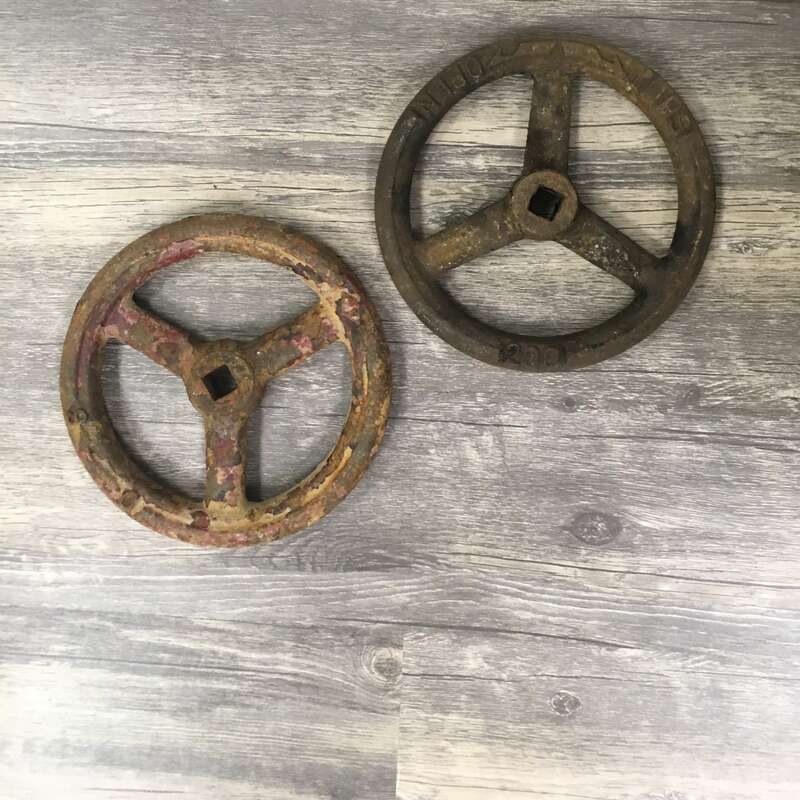 This is an authentic porthole that was removed from a working vessel. You can expect some minor wear to the surfaces of the frame. 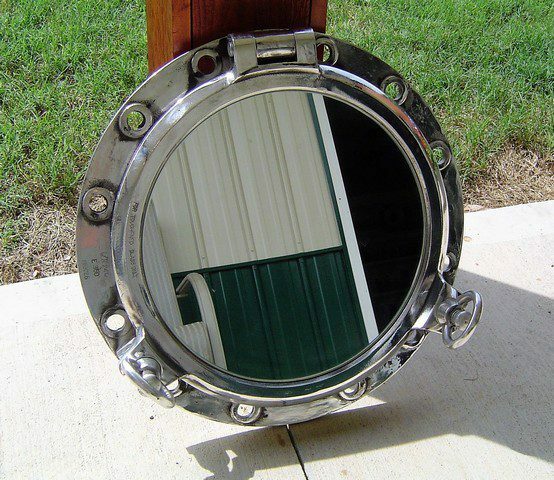 You will be shipped the aluminum ship’s porthole mirror shown in the photos.